No matter the demographics, population or resources of a community, citizens across the country have the right to be healthy and safe. Safe Communities America (SCA), an initiative of the National Safety Council (NSC), is the World Health Organization (WHO) United States Safe Communities Affiliate Support Center . SCA brings communities together to promote safety and injury prevention. Its approach recognizes that injuries are not accidents and are predictable and preventable. According to SCA, injuries at home, in the workplace and on the roads are the leading cause of death among Americans ages 1 to 44. Besides their heavy emotional toll in loss of human life, injury and death require many more resources that can be saved with simple safety measures. In 2005, the cost of unintentional injuries in the United States exceeded $625.5 billion. This includes medical expenses, productivity loss and property damage. Injuries affect not only an individual, but families and even communities. NSC works with SCA to prevent needless deaths and disabling injuries. Together, these organizations provide structure, administrative support and expertise to make individual communities safer. Since 1992, injury related deaths in the home and community have increased. Now more than ever, communities face an urgent need to keep all of their stakeholders safe. In 1989, the First World Conference on Accident and Injury Prevention was held in Stockholm , Sweden . Five hundred delegates from 50 countries attended and the Manifesto for Safe Communities emerged from the conference, which provided the foundation for SCA. Out of this conference grew a worldwide movement to prevent unintentional injury and death to make communities safer. SCA believes no single overarching approach to injury prevention and safety promotion can be effective. SCA assigns that responsibility to individual communities; the concept of a safe community is that the leading role is played by the community itself, an entity larger than any of its parts. Today NSC, WHO Collaborating Center on Community Safety Promotion, Karolinska Institutet and Stockholm, Sweden have come together to offer a systematic and community based approach to improving safety, health and quality of life. Participate in national and international Safe Communities networks. All communities must submit an application and reach out to representatives from different community sectors, including local businesses, fire protection districts, park districts, police, public health organizations and schools. Safety and health issues are unique to each community. Communities are required to identify major safety issues that are of upmost importance to the well-being of their community members. Data is collected on the number and causes of injuries to help target areas where significant changes are needed to promote injury prevention to make the community safer. Programs that address safety issues are developed by each community. International Safe Communities representatives conduct an onsite visit to review programs and share resource information from other designated safe communities. During the onsite visit international Safe Communities representatives meet with community members to discuss the safety promotion and injury prevention programs developed and implemented by the community. The visit showcases accomplishments towards improving the safety and health of those in the community. Communities that become designated Safe Communities receive international recognition during a celebration ceremony. Communities must make an ongoing commitment to continually address safety and health needs to enhance improvement further. Every five years communities are required to apply for re-designation. Without participation and support from local law enforcement it would be difficult for communities to participate in the SCA program. Police departments have the ability to reach different community sectors and sustain the SCA program. When police are involved there is a greater chance of success, because they have the necessary resources to identify safety issues and the necessary training to implement change. Most communities involved with SCA are led by law enforcement, while additional community sectors provide the necessary support. Many police departments have taken on the responsibility of bringing the SCA program to their community. Police have also been at the forefront in the development of safety promotion programs. After suffering a railroad pedestrian tragedy in 1995, Brockville was motivated to improve safety within its community. Two teenaged girls were struck and killed while crossing tracks near their school. The tragedy made it evident that more had to be done to improve the safety of those in Brockville . A year later in 1996, Brockville became Canada 's first pilot safe community. Then in 2001, co-chaired by City Police Chief Barry King (now retired), and Ruth Kitson, Executive Director of Community Primary Health Care, Brockville received the WHO International Safe Communities designation. The Safe Communities Coalition has brought positive life style changes to Brockville and surrounding communities to improve their overall quality of life for all community members. The designation has made Brockville an example to other Canadian communities. King believes the Safe Communities Canada program is responsible for significantly reducing crime trends in his community. In a ten year comparison (1995-2005), motor vehicle collisions were reduced by 7.5 percent in Brockville and there were no traffic fatalities. Criminal offenses also decreased by 21.5 percent in the same 10 year period. Part of Brockville 's success is the tremendous support from the community; at one time more than 85 individuals were involved in the Safe Communities of Brockville, Leeds & Greenville coalition. All schools within the district are actively involved to educate youth about safety. Strong focus and priority has been on the youth demographic, “With awareness and education you can change the culture of your community. Youth represent 20 percent of the population, but 100 percent of the future,” explained King. When driving in Brockville , one cannot help but notice that Brockville is a Safe Community. “Partners for a Safe Community” signs are placed at the community entrances, on police cars, building signage and websites, as well as some local businesses to remind residents and visitors that their community stands out amongst others. Brockville has successfully implemented several safety programs, some of which include Community Safety & Police Week, RiskWatch , Racing Against Drugs, Community Safety Zones, Seniors Safety and the Great Kids Contest to sustain the Safe Communities designation. Community Safety and Police Week takes place every May. Over 30 organizations participate to promote safety in Brockville . Over 1,000 attendees learn how to become proactive and preventative. Collaboration takes place among the coast guard, fire department, military, police department, paramedics and public health nurses. All local middle and secondary schools participate with these officials and learn how to get involved in their community. Brockville was the first Canadian city to pilot the USA based National Fire Protection Association's (NFPA) RiskWatch , which seeks to examine and eliminate risky behavior to improve community safety. RiskWatch incorporates eight different programs to build healthy, safe and strong youth. Brockville expanded the program to certify teachers and health professionals and provide each of them with training kits which contribute to the sustainability of RiskWatch . The Recorder & Times newspaper sponsors the annual “Great Kids Contest” as a way to recognize and respect youth. Parents, teachers and the public are all encouraged to nominate youth in three categories of Personal Best, Against the Odds and Cool to be Kind. Nominees are assessed by a cross-section of community leaders and those who have displayed personal achievement. 18 semifinalists and 6 finalists are recognized at a public celebration and gala awards ceremony with winners receiving $500 savings bonds. Brockville has been able to increase the safety and health awareness of all residents through the Safe Communities program. Community demographics based upon the age, gender and each group's reported injury data are analyzed to identify risks. Through this systematic process, Brockville has been able to reduce injuries. Today, Brockville and the other 53 designated Canadian Safe Communities stand out as an example of what can be achieved when communities collaborate, engage and work together to achieve a common goal. Itasca , Illinois , U.S.
Itasca has completed the application process to become a designated Safe Community in the United States . The village identified high risk groups and collected data on the number and causes of injuries to develop safety programs. Since seeking to make Itasca a Safe Community, the village reduced crime by 26 percent in 2007. The reduction carried over to 2008, where in the first six months overall crime decreased by 17 percent from the previous year. Using data collected officials identified target high risk groups, which include those over the age of 55 and those under the age of 19. One of the most important issues in Itasca is an aging population's ability to maintain homes and stay healthy. Another issue is the increase in the number of juveniles involved in domestic trouble or domestic violence incidents. Programs to address these two high risk groups have been successfully implemented. All of Itasca 's safety initiatives are exhibited during National Night Out (NNO), sponsored by the National Association of Town Watch (NATW). NNO takes place to strengthen community ties and develop police-community partnerships. Itasca has participated in NNO for five consecutive years. Over 3,150 attendees have participated, representing over 40 percent of the population. In previous years the Itasca Police Department has set up several exhibits for NNO, some of which include a crime prevention booth, D.A.R.E. booth, Elder Services booth and McGruff Safe House booth. Itasca 's NNO would not be possible without the support from all community sectors. Significant contributions from the police department, fire protection district, park district, public hall and village hall have made the event a success. The police department established McGruff Safe Houses throughout their village, which allow children to seek refuge in a safe place should an emergency arise. McGruff Houses are strategically placed in homes and apartments throughout the village and display the McGruff House symbol. Individuals who volunteer their homes agree to make emergency phone calls for children. 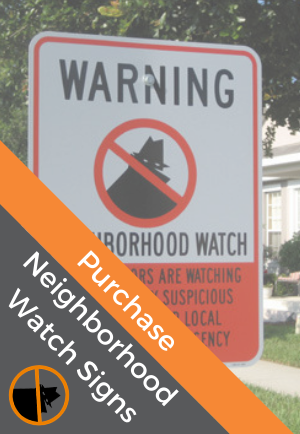 The Neighborhood Watch and Citizen Volunteer Programs has been crucial in making the village of Itasca safer. Since 2007, citizen volunteers have taken a proactive approach to reducing crime. One project includes crime prevention sweeps of parking facilities: citizen volunteers check for unlocked vehicles and exposed valuables in parking lots. If a door is found unlocked or valuables are in sight, volunteers secure the vehicle and leave a crime prevention card on the windshield. Since the first sweep, motor vehicle theft has decreased by 55 percent and volunteers have reported fewer unlocked cars and exposed valuables. Citizen volunteers have also helped in disaster preparedness and emergency response. Should an emergency situation arise, citizen volunteers are ready to assist law enforcement. In August 2007, after a series of storms left traffic signals without power, it was citizen volunteers who helped navigate motorists through busy intersections. In 2006, Itasca worked with the Fire Protection District to install an outdoor warning system to warn residents of severe weather or other unforeseen emergencies. The system provides residents an additional warning and helps coordinate emergency responders. The outdoor warning system is part of Itasca 's overall emergency management and disaster preparedness program. All communities have room for safety improvement, including yours. Take a proactive approach to reducing injuries to bring about positive change. Safe Communities build relationships with different community sectors to create a sense of harmony and unity.